#InTheStudioThisWeek we have been finalising our new ‘Pay As You Go’ Campaign. 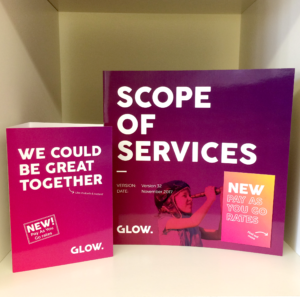 This consists of our updated Scope of Services, ‘Pay As You Go’ Booklets and Glow Branded Pencils. How Exciting! Glow now offers two approaches to Design and Creative Support (which ranges from web & digital design to branding, project management and a multitude of other disciplines in between). Our first approach, is the classic Quoted Project. We provide a quotation, based on your brief, detailing the specification and scope of your project. For projects with a large scope, the quote will be broken down into project stages, with each stage being priced individually. Any changes in scope will be quoted for, applying our standard creative rates. Our second and new approach is ‘Pay As You Go’. This new way of working involves a reduced hourly rate and no need for a deposit. You provide us with the project brief and the deadline, and we invoice you as work is completed. You can set a monthly limit to suit your budget. This option is flexible, open, transparent and cost-effective. Not only will work be billed at a reduced cost due to our lower hourly rate, there is also less admin to worry about as there is no need for quote requests or sign-offs (isn’t that handy!). If you needed any more convincing, this approach also ensures increased productivity, as we manage and push through your creative campaigns. And of course, all work is delivered with the same level of exceptional Glow service as our quoted projects. You can find out more about our new ‘Pay As You Go’ rates in our Scope of Services, which also details the wide selection of services we offer. Get in touch if you’d like a copy. Our ‘Pay As You Go’ booklet we have created includes a simple break down of what we can offer. Accompanied by clear price table showing the difference in hourly rates between the two approaches. 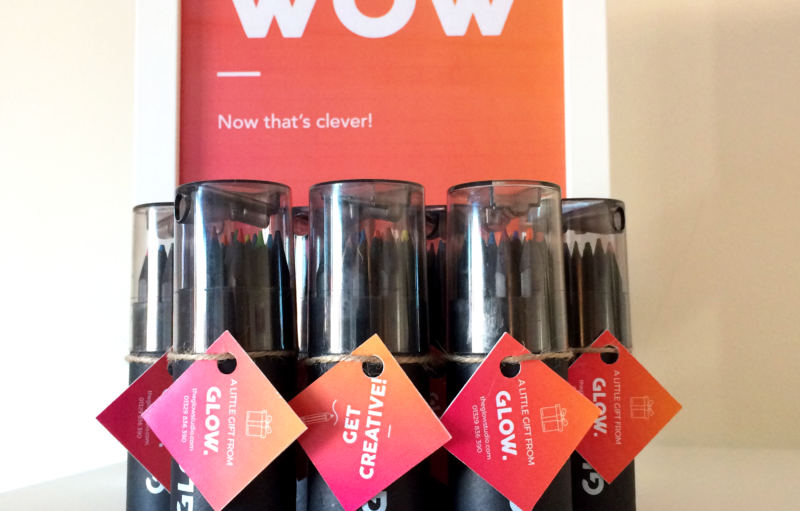 In addition, in this campaign we thought we’d treat our prospective clients to the gift of creativity, with our Glow branded pencils. Time to get the creative juices flowing.